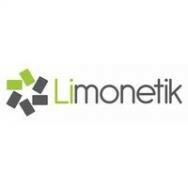 Expert in B2B requirements, Limonetik is a full service aggregator in the payments ecosystem that proposes to PSPs, Acquirers, International Merchants and Marketplaces to easily access, via a unique API, to a large panel of international payment methods and advanced services from accounting reconciliation, currency conversion and regulation compliance. In 2015, Gartner awarded Limonetik with the badge of “Cool Vendor” as a result of its ‘one- stop’ innovative and creative technical solutions which make real and positive impacts on its clients businesses. Limonetik was formed in 2008 from a “contradictory analysis”: as a result of the complex challenges of continual development of physical and digital PM’s and the difficulty of using them to pay for goods and services online. To solve these challenges, Limonetik simplifies and streamlines the entire payment process, playing the role as the facilitator and integrator for all the parties in the value chain: PSP’s, PM’s, Tier 1 & Tier 2 merchants and Marketplaces, in B2C and B2B markets. Limonetik provides an on-demand full service offer, including collecting, flow management, reconciliation etc. Limonetik can also create new PM’s, like loyalty program points, prepaid solutions, e-wallets etc; with these, merchants can turn their own payment methods into useful marketing tools to enhance user experiences. Limonetik’s solutions are global and our reach is International, allowing us to facilitate ‘cross- border’ transactions in any currency.